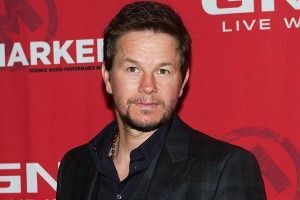 On Tuesday, TwitchFilm reported that “Michael Bay is having early conversations with Mark Wahlberg to star in the upcoming, Paramount backed Transformers 4.” Not happening, says big Bay himself. “The Mark Wahlberg T4 rumor is just a rumor. Mark and I are talking about another film project.” Even though the message was delivered via blog post on his personal website, MichaelBay.com, and even though he used the first person in the message delivered on MichaelBay.com, Bay signed it “—Michael,” just to make sure everyone knew it was Michael Bay talking. And then, just to really make sure everyone knew it was Michael Bay talking, Michael Bay made that MichaelBay.com blog post engage another MichaelBay.com blog spot in an indecipherable, sensorially violent fight to the death on the roof of a skyscraper. It wasn’t totally crazy to think Wahlberg would take the role; he did just wrap shooting on Bay’s Pain and Gain, a purported kidnapping “comedy” set in the world of competitive bodybuilding. Then again: At this stage in his career, would Oscar-nominated actor Mark Wahlberg really want to make peace between robots? Or take a role Shia LaBeouf turned down? While we’re here being all doubtful of things, there’s another part of TwitchFilm’s initial report upon which we’d like to cast a skeptical eye. This here: “Ehren Kruger — also responsible for the second and third installments in the series — is again penning the script, one that we are hearing will revolve around an adult star … and his teenage child with the idea being that the child would then grow to be the focus of subsequent entries in the series.” See, yeah, that kind of thing sounds like it makes perfect sense: Surely, Paramount will figure out any and all possible ways to make Transformers last forever. But we still cannot rule out the distinct possibility that Transformers 4 will feature no human acting at all. By the way: T4? He’s allowed to call it T4 now?